Deals: not much going on today in terms of sales, but check out these amazing movie deals! Also, check out yesterday’s deals for more. Amazon: Up to 80% off Boys Tops & Tees, starting under $3… name brands too! 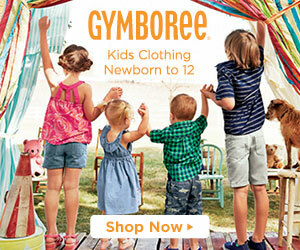 Gymboree: Everything $12.99 and under, plus FREE shipping today! Wow, that’s a BIG ONE! Crazy 8: Everything $9.99 and under! Domino’s Pizza: Pre-register your phone number for a chance to win FREE pizza for a year. Once you’re registered, you’ll receive a link to the contest once it starts. It can start at any time for the next month or so, so be ready. When it begins, the fastest handful of people to click the link will win! Garnier Clean: Get a FREE sample for oily, combo or dry skin… your choice! Enfamil: New and expectant mothers, register with Enfamil Family Beginnings to receive up to $250 worth of items, plus advice, etc. puj: Enter to win an entire collection of baby items curated by puj ($700 value), just follow the steps listed on the page! Don’t forget to check out the review and giveaway of Curly’s Creation’s Rainbow Crayon Letters here! Don’t forget to check out yesterday’s deals… many of them are still active! Please feel free to comment below and tell me what stores you’d like to see on this list. Made with Code: Free 3D printed bracelet. Scroll down and click “Code a Bracelet”, then follow directions. Dooney and Bourke: Enter to win a FREE Dooney and Bourke purse! Lipton: FREE sample of Lipton K-Cups, must watch the video first. Amazon: The kid’s DVD ‘Epic’ is 90% off at only $2.99! 7-Eleven: Get a FREE small Slurpee Sprite 6Mix- just download the 7-Eleven app on your phone and register. Look under ‘savings’ section, but don’t redeem until you are ready to use it! It will only stay on your phone for 15 minutes after you click ‘redeem’. Payless: Every sandal on sale, plus BOGO!! Charming Charlie: Buy one get one free on flat sandals and flip flops! Happy Monday. I hope everyone enjoyed their Father’s Day. Fredericks of Hollywood: Bras starting at just $10! Amazon: Hot Wheels zippered bin that turns into a ramp for storage AND play, plus one car on sale for only $6.48 down from $17.99! Enter to win a $1000 shopping spree from Red Tricycle! Happy Saturday. I hope everyone enjoys their Father’s Day tomorrow! Carter’s: Clearance starting at $3.99, PLUS an extra 20% off clearance! Babies R Us: Up to 80% off in store. Clearance items are color coded, and signs are posted throughout the store. Check out DIY Mom on a Budget’s Month-iversary giveaway here… last days! Kmart: FREE Suave Hair Products. Buy (2) Suave hair products @ 2 for $4. Then receive $2 back in points, making your products only $1 each. I’m hearing that there is also a Suave coupon out there for 1 for $1, which would make them FREE! Michaels: 25% off your entire regular priced purchase online and in store, plus 70% off red tag items. Don’t forget the 50% off coupon too. Core Protein: Get a coupon for a FREE Core Power Protein Drink. 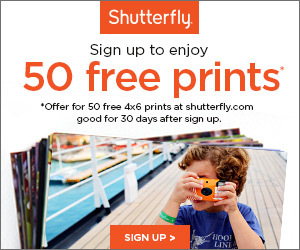 Must click on the email confirmation that they send to your email in order to receive the coupon.